One of the most mystifying subjects science has dealt with is the idea that there are aliens abducting humans. 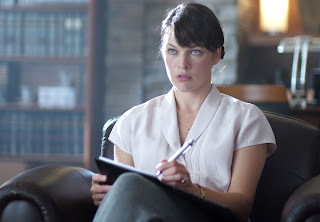 The new science fiction-horror film The Fourth Kind puts the matter in cinematic form as Resident Evil star Milla Jovovich portrays psychologist Dr. Abigail Tyler who years ago conducted a sleep disorder that revealed terrifying data connected to it. The movie, based on actual case studies, is a reenactment of an original documentary set in Nome, Alaska, with never-before seen archival footage integrated into the film. Writer-director Olatunde Osunsanmi exposes shocking revelations from multiple witnesses—all leading to significant conclusions about non-human entities abducting earthlings. Their accounts of being visited by aliens are looked upon closely, assuring viewers' of goosebumps and eerie realizations. Shot in Vitosha and Sofia in Bulgaria, in Los Angeles, California, and of course, Alaska, The Fourth Kind is the first major film by Osunsanmi who is a protégé of independent film director Joe Carnahan. The title is derived from how J. Allen Hynek classified 'close encounters with aliens,' having noted that the 'Fourth Kind' denotes alien abduction. This particular scale (of measurement) is considered the most difficult to document, making this movie a rare kind of data gathering. In October 2004, Osunsanmi traveled to North Carolina for post production of a project he was doing. While there, a colleague told him of Dr. Tyler who relocated to a remote town along the Bering Sea. The latter is said to have been convinced that her patient's stories of alien abductions are real. She even discovered a history of missing people and mysteriously bizarre happenings around the region dating back to 1960s. 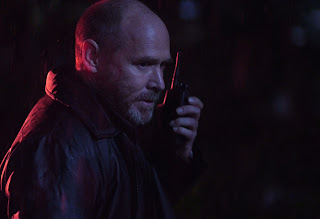 The movie also stars Elias Koteas and Will Patton. It opened in the US last November and grossed with a total $24,619,000, surprisingly topping its $10 million budget. Reported alien activity in Alaska is famous among UFO enthusiasts, including that of captured flying saucers over Alaskan airspace and the disappearance of Alaska's US State Sen. Nick Begich in 1972 that was again connected to E.T. presence. 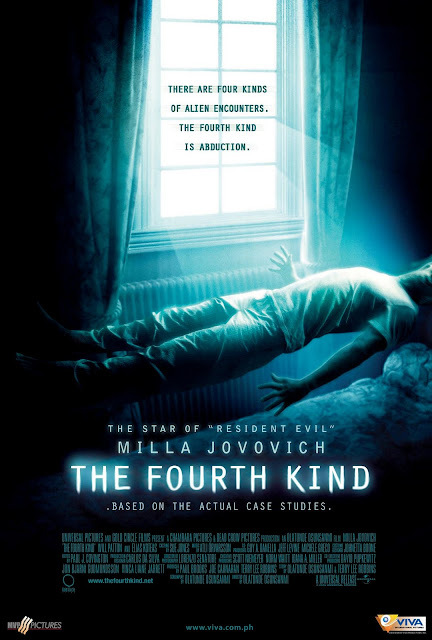 The Fourth Kind, distributed locally by Viva International Pictures, opens in the Philippines on March 3, 2010.